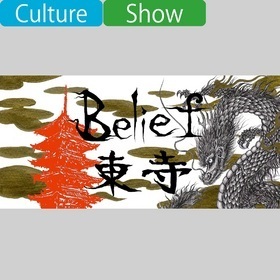 “Belief” is an Integrated Art Event started by 1.G.K and Belief Executive Committee in 2011 under the concept, “From Kyoto to the World” . Expressers, performers, dancers…a variety of artists who don’t usually come across share the same space, respect, and inspire each other using music as a bridge. The venue, To-ji, is a world heritage site. Please support to prevent making any mess or damage on the site. Please strictly that standing on the architectures beside the main space, such as Kon-do, and/or Ko-do is prohibited. Held rain or shine. Possible cancellation in case of storm. Ticket refunds will not be made in case of cancellation after the festival started. The festival is scheduled to end at 19:30, however the end time may vary depending on how the show progresses.